Being exposed to ultraviolet radiation is a risk factor for skin cancer. New ways to prevent skin cancer are being studied in clinical trials. Avoiding cancer risk factors may help prevent certain cancers. Risk factors include smoking, being overweight, and not getting enough exercise. Increasing protective factors such as quitting smoking, eating a healthy diet, and exercising may also help prevent some cancers. Talk to your doctor or other health care professional about how you might lower your risk of cancer. Some studies suggest that being exposed to ultraviolet (UV) radiation and the sensitivity of a person’s skin to UV radiation are risk factors for skin cancer. UV radiation is the name for the invisible rays that are part of the energy that comes from the sun. Sunlamps and tanning beds also give off UV radiation. Risk factors for nonmelanoma and melanoma cancers are not the same. Having a history of many blistering sunburns, especially as a child or teenager. Having several large or many small moles. Having a family history of unusual moles (atypical nevus syndrome). Having a family or personal history of melanoma. It is not known if nonmelanoma skin cancer risk is decreased by staying out of the sun, using sunscreens, or wearing protective clothing when outdoors. This is because not enough studies have been done to prove this. Sunscreen may help decrease the amount of UV radiation to the skin. 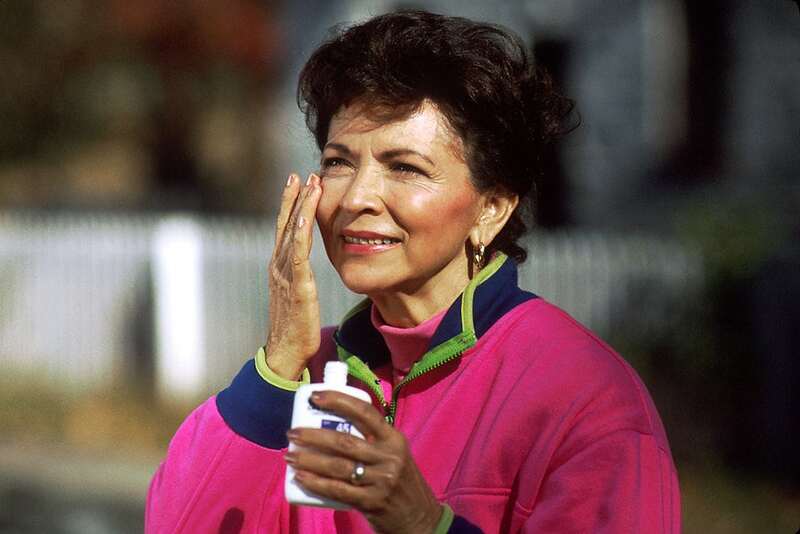 One study found that wearing sunscreen can help prevent actinic keratoses, scaly patches of skin that sometimes become squamous cell carcinoma. The harms of using sunscreen are likely to be small and include allergic reactions to skin creams and lower levels of vitamin D made in the skin because of less sun exposure. It is also possible that when a person uses sunscreen to avoid sunburn they may spend too much time in the sun and be exposed to harmful UV radiation. Use sunscreen that protects against UV radiation. Do not stay out in the sun for long periods of time, especially when the sun is at its strongest. Wear long sleeve shirts, long pants, sun hats, and sunglasses, when outdoors. Studies of beta carotene (taken as a supplement in pills) have not shown that it prevents nonmelanoma skin cancer from forming or coming back. High doses of isotretinoin have been shown to prevent new skin cancers in patients withxeroderma pigmentosum. However, isotretinoin has not been shown to prevent nonmelanoma skin cancers from coming back in patients previously treated for nonmelanoma skin cancers. Treatment with isotretinoin can cause serious side effects. Studies have shown that selenium (taken in brewer’s yeast tablets) does not lower the risk of basal cell carcinoma, and may increase the risk of squamous cell carcinoma. A study of celecoxib in patients with actinic keratosis and a history of nonmelanoma skin cancer found those who took celecoxib had slightly lower rates of recurrent nonmelanoma skin cancers. Celecoxib may have serious side effects on the heart and blood vessels. A study of alpha-difluoromethylornithine (DFMO) in patients with a history of nonmelanoma skin cancer showed that those who took DFMO had lower rates of nonmelanoma skin cancers coming back than those who took a placebo. DFMO may cause hearing loss which is usually temporary. It has not been proven that using sunscreen to prevent sunburn can protect against melanoma caused by UV radiation. Other risk factors such as having skin that burns easily, having a large number of benign moles, or having atypical nevi may also play a role in whether melanoma forms. It is not known if people who receive counseling or information about avoiding sun exposure make changes in their behavior to protect their skin from the sun. Clinical trials are taking place in many parts of the country. Information about clinical trials can be found in the Clinical Trials section of the NCI Web site. Check NCI’s list of cancer clinical trials for nonmelanoma skin cancer prevention trials and melanoma prevention trials that are now accepting patients.